Visit Bon Temps, the small Louisiana town that Sookie calls home, with a detailed map created by Charlaine herself, and learn the characteristics of the supernaturals who live there: vampires, two-natured, and fae. Examine all the branches of Sookie’s family tree. And eavesdrop on the private conversations between rival vampires Eric and Bill. 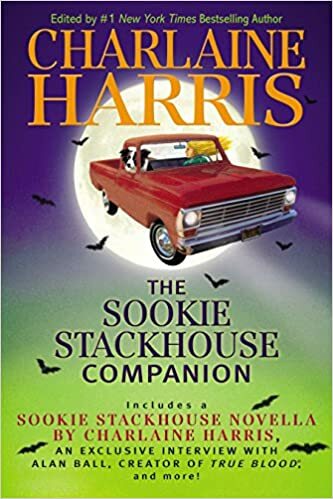 Exclusive interviews with True Blood creator Alan Ball and author Charlaine Harris—compiled from fan questions—will satisfy your craving for all things Sookie, as will trivia questions, recipes (including Caroline Bellefleur’s famous chocolate cake! ), and a concordance to the Sookie Stackhouse novels.